Would you drive a car powered by poo? Despite the potential of hydrogen fuel cell cars to aid in mitigating the effects of climate change, there are a multitude of reasons why drivers are reluctant to make it their next purchase. Very few refuel stations for vehicles of this nature currently exist and the limited amount of hydrogen-powered cars on the road doesn’t exactly warrant an increase in the construction of more refuel stations. Toyota may have found a solution to this in the form of human poo. In Fukuoka, Japan, the automobile maker is converting human waste into a hydrogen-based fuel that can successfully power their newest model. While it might sound like a complicated endeavor, the process itself actually seems very simple. Sewage is separated into liquid and solid waste at Toyota’s water processing plant where microorganisms are then thrown into the mix, turning solid waste into pure hydrogen – a biogas. Waste is probably the greenest source from which to obtain hydrogen fuel. First of all, you’re obtaining a functional product from something that would have otherwise been discarded, making it an incredibly economical source. 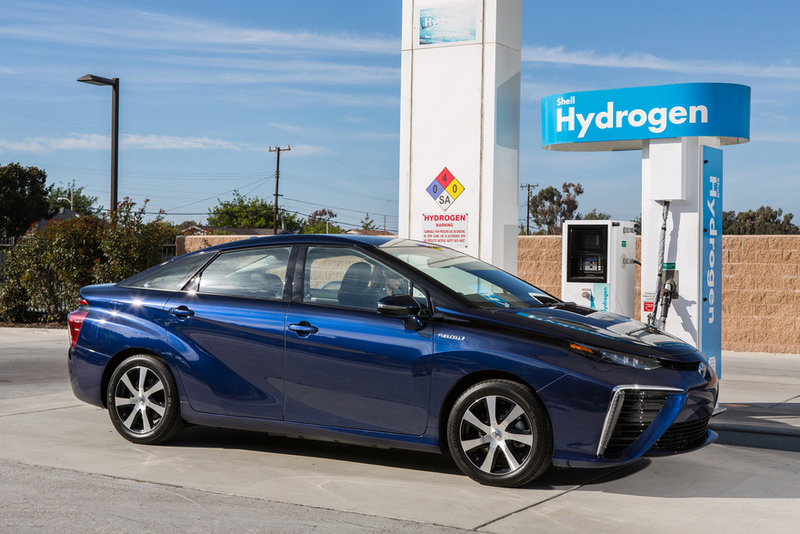 Hydrogen fuel can be generated from a variety of sources – including geothermal energy, solar power and wind turbines. The benefits of converting waste into clean energy have been repeatedly proven, and the ubiquity of it as a resource can hardly be beat. After all, everyone poops. Toyota is betting on its toilet-to-tank scheme speeding up the general demand for these zero emission vehicles.